Unless you have been following Pokemon lately, I'm sure that if I told you that there are over 600 Pokemon (with many more soon on the way with X and Y coming in November), you would feel beyond old, and wish you could go back to the days when there were only 150. Reminiscing of the days when 11 year old you would get up at 7am to watch Ash, Misty, and Brock try to make it to the Indigo Plateau, and then go to school and marvel at each other's Pokemon cards and battle each other on your Gameboy Colors during 3rd grade recess? Boy, those were the days. They were a simple time that many wish that they could return to. Well, now you can....sort of. A new Pokemon series has been announced in Japan called "Pokemon Origin". 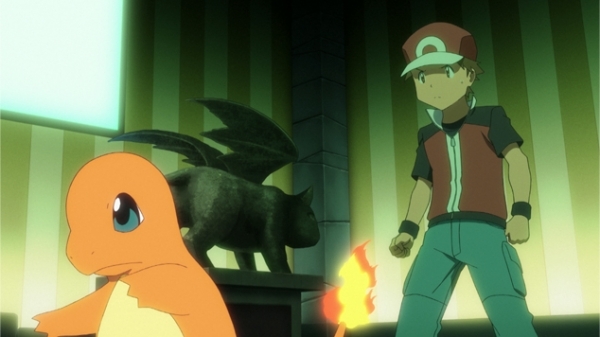 The story breaks off from the story of Ash Ketchum and focuses more on the story of the original Red and Blue games. Check out the trailer, and if you were that perfect age when Pokemon came out, where for a good 3-4 year period, it was nothing but Pokemon everywhere, brace yourself, because you are about to feel like you are ten years old all over again..
Pokemon Origins will premiere October 2nd, two days before the Pokemon X and Y games are released for Nintendo 3DS. At this point, no plans have been announced for an American release, but given the popularity of Pokemon in the US, it is inevitable.